The winner of the Ukrainian national selection for the Junior Eurovision Song Contest 2018 has been announced this morning. The outcome was in the hands of a professional jury (that among others included LAUD, from Vidbir 2018). They would take in the advice of a public poll but the ultimate decision would be theirs. 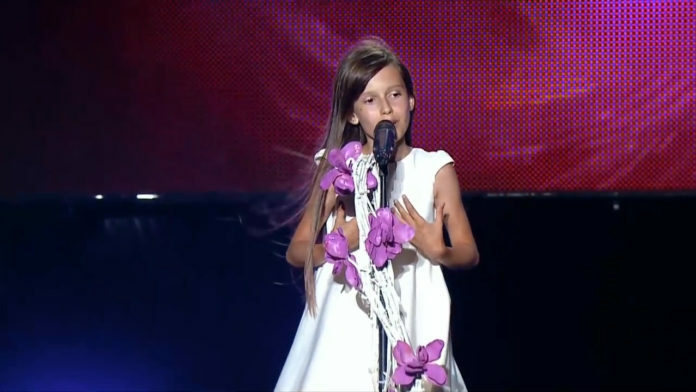 Now they have chosen 11-year old Darina and her song ‘Say Love’. Darina has been singing for over 5 years already and has been on The Voice – Kids in Ukraine. She’s ambitious as next to becoming a famous singer in Ukraine, she also wants to take on the world! Everyone has their own dream. Mine is a victory in the Junior Eurovision Song Contest 2018! The Junior Eurovision Song Contest will take place on Sunday the 25th of November in Minsk, Belarus!